Poly-Vinyl Fencing is designed to look “like-new” for many years to come. This fencing material is an excellent investment and addition to your home. Poly-Vinyl fencing is safe, durable and offered in a variety of styles. This material is a popular option for any fence, railing or accent needs because of its low maintenance. If you chose a vinyl fence you are choosing a fence that won’t rust, rot, crack or peel, not to mention will not need painting. Capital Fence works closely with Shoreline Vinyl on many of our vinyl projects. American made products using only the best materials. Step into a private backyard retreat with one of our vinyl privacy fences. 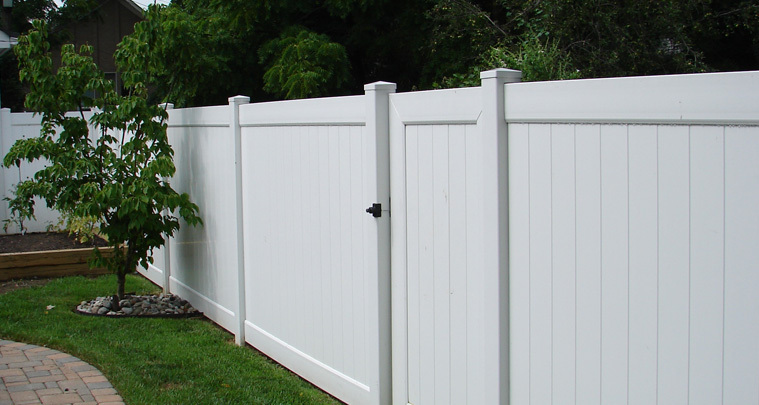 Designed specifically with either 6 foot or 8 foot wide tongue and groove panels to give you complete freedom from neighboring distractions without the hassle of routine fence maintenance. 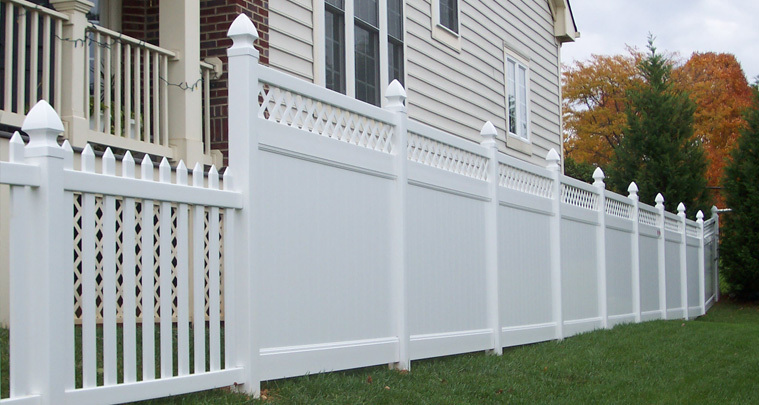 Traditional, Classic, or Contemporary a vinyl picket fence can add curb appeal to any home. 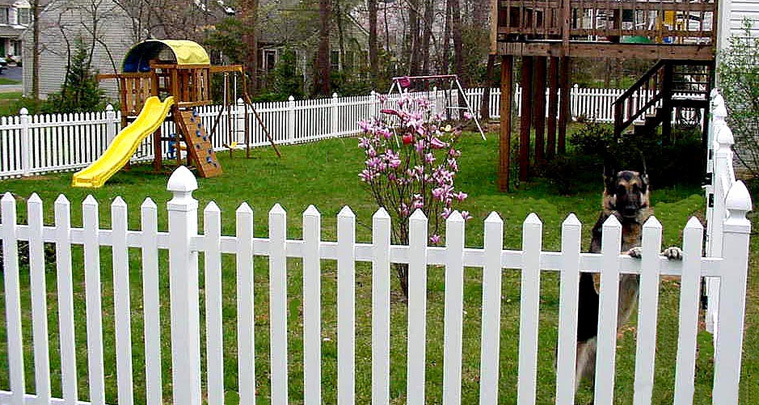 The choices are almost endless when deciding to go with a vinyl picket fence. We offer a variety of heights, styles and picket spacing to meet all of your picket needs. A Capital Fence professional is here to help you make the best decision regarding your vinyl fence. Providing an open airy feel to your property, a vinyl rail style fence can help you achieve curb appeal without a fenced in feel. You have options when considering a vinyl Post and Rail fence. A Vinyl Split Rail fence or a Vinyl Crossbuck fence will give you extreme durability without ever having to paint.